1 x HONDA CIVIC TYPE R EP3 FRONT DOOR CARD. CARBON EFFECT, GLOSS BLACK or ALUMINIUM DOOR CARD. PICTURES TO FOLLOW. CURRENT PICTURE IS JUST TO SHOW THE CARBON EFFECT. MATT BLACK & LIGHTWEIGHT DOOR CARDS. 2 x HONDA CIVIC TYPE R EP3, FRONT DOOR CARDS. CARBON EFFECT, GLOSS BLACK, ALUMINIUM & MATT BLACK. LIGHT WEIGHT. HONDA TYPE R EP3. 1mm Carbon Fibre / Fiber. 1 x Front Door Card Panel Lightweight. Honda Civic VTi JDM EG6. Excellent fitting for: Honda Civic EG6. Carbon door cards. Set contain. HONDA CIVIC TYPE R EP3. 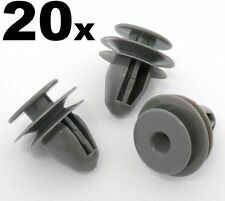 Lightweight Matt Black ABS. 1mm Carbon Fibre / Fiber - Carbon Effect ABS - Gloss Black ABS. See below. 1 x Front Door Card Panel. 2 x HONDA CIVIC EG, FRONT DOOR CARDS. CARBON EFFECT, GLOSS BLACK, ALUMINIUM & MATT BLACK. LIGHT WEIGHT. Honda Civic VTi JDM EG6. Excellent fitting for: Honda Civic EG6. Carbon door cards. Set contain. front: left right. 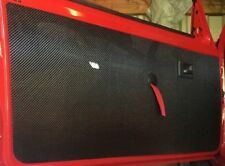 For sale Honda S2000 AP2 door cards panels in black/red (both sides). Door switches, tweeters – included. Removed from 2004 Honda S2000 vehicle. Will fit 1999-2009 Honda S2000. We buy Honda S2000 and Honda NSX after accidents. Genuine Honda CRV Passenger Side Front Door Pull Handle. For Honda CRV From 2010 - 2012. Cut Out for the window switch. LEATHER COLOURING DYE. High quality colouring varnish/dye having high seizing power. Ensure leather is fully clean before any colouring works has taken place, this will open the leather pores and help the leather dye adhere to it;. This pair of door cards are in good usable condition and were removed from a 2000 Honda S2000. The doorcards are black with black leather and are in good condition with only small signs of use as pictured. Door cards in good condition, each card has a single snapped tab on the back broken. Come with Focal tweeters, crossovers and the wiring needed. Please read- I can ship worldwide, postage price is for UK mainland ONLY. Please message for quote if outside of UK mainland. I am also selling a lot more honda parts ranging from Dc2, Ek9, Ep3, Dc5, S2000 etc including a lot of rare and oem honda parts. IMPORTANT!- Please do not mail me asking for any contact details and please don't provide me with yours as this is against eBay’s policies, Thank you for co-operating and buying from us. Honda Civic Eg6 Black Quarter Trims . Condition is Used. Collection in person only. Pair of red facelift front doorcards. The doorcards are complete and are ready to fit and as the pictures show really do look the part. Decent used condition, minimal wear and in very good condition. Mk8 5 Door 1.8 Petrol 6 Speed. CIVIC - RHD. Vehicle Colour R Front Door. Trim Level Other Details Number Of Doors. 2001-2005 MK7 Honda Civic Type R PAIR FRONT DOOR CARDS. Part Numbers :- 8355A S5T E100 RED / 8350A S5T E100 RED. 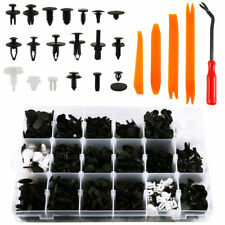 These come as imaged, there is a few white clips missing (see images) Please make sure part is correct before purchasing. We try to describe our parts as honestly as we can, however please also see our images in case we have missed anything. Any questions please ask. International buyers please contact us for price and availability of postage to your location. Removed from below vehicle -. 1 x HONDA CIVIC EG, FRONT DOOR CARD. CARBON EFFECT, GLOSS BLACK, ALUMINIUM & LIGHTWEIGHT. CARBON EFFECT. 1.0 ENGINE CODE PA10A2. 2017 HONDA CIVIC SR VTEC 1.0. FULLY TESTED IN VEHICLE, IN GREAT WORKING CONDITION. FROM LOW 800 MILEAGE. SOLD WITH UNLIMITED MILEAGE 3 MONTH WARRANTY. DO NOT RELY ON THE LIST TO CONFIRM COMPATIBILITY WITH YOUR VEHICLE. This is a genuine Honda R/H door card for theHonda Jazz models listed above. Try and find a part number on the existing part. Failing that. I advise you to check that this is the correct part for your particular vehicle. To fit a 6mm Hole. For sale Honda S2000 AP1 door cards panels black, right hand driver side (both sides). Removed from 2000 year Honda S2000. Fits all Honda S2000. We buy Honda S2000 and Honda NSX after accidents. 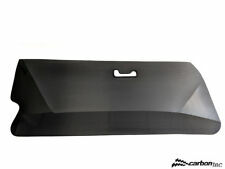 Honda Jazz 2002-2008 Rear Passenger Side Interior Plastic Trim Cover. Condition is Used. Dispatched with eBay delivery – Shutl 2-3 days. NEAR SIDE LEFT PASSENGERS FRONT DOOR CARD IN RED. 2009 HONDA CIVIC TYPE R 2.0 MANUAL. DO NOT RELY ON THE LIST TO CONFIRM COMPATIBILITY WITH YOUR VEHICLE. WHEREVER POSSIBLE, WE PROVIDE PART NUMBERS WHICH SHOULD MATCH WITH YOUR ORIGINAL PART. This part was removed from a 2007 mk8 honda civic 2.2 type s diesel 3 door hatch back. model was made from 2005 to 2011. you can search for all parts currently available from this car by entering the reg py07eez in the search bar. Hub bearing abs sensor suspension drum pipe hose exhaust box silencer seat card winder glass. roof aerial starter motor alternator throttle body engine cylinder head distributor manifold carburettor. conditioning gearbox master slave rack wiper linkages reservior cover. 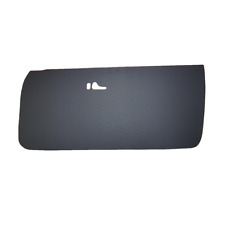 GENUINE HONDA CRV FRONT DRIVER SIDE INTERIOR DOOR PANEL CARD IN BLACK. Condition is Used. Dispatched with Other 24 Hour Courier. To Fit an 8mm Hole. HONDA S2000 AP1 2000-2003 INTERIOR FRONT DOOR LINING CARD PANEL, LEFT, UK PASSENGER SIDE, NH167L . 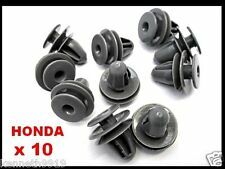 HONDA PART NUMBER: 83580-S2A-902ZA, 83580S2A902ZA, 14210A4-S2A9. HONDA CIVIC 1.8 LITRE PETROL 2007 MODEL. DRIVERS SIDE FRONT DOOR CARD. 5 DOOR 6 SPEED MANUAL. PART NUMBER - N/A. AJ SPARES is a large independent Vehicle Dismantlers. ANY QUERIES CALL. The Blue Containers. HONDA CIVIC TYPE S 1.8 LITRE PETROL 2007 MODEL. PASSENGER SIDE FRONT DOOR CARD. 3 DOOR 6 SPEED MANUAL. INTERIOR CODE - NH167L. South Yorkshire. AJ SPARES is a large independent Vehicle Dismantlers. The Blue Containers. HONDA CIVIC MK8 2007. 2.2 D 6 GEARS MANUOL ( Paint Code NH674P ) 5 door. ALL PARTS ARE SECURITY MARKED AND PHOTGRAPHED FOR EVIDENCE PRIOR TO DESPATCH. Honda Civic Type R FN2 DRIVERS side rear door card insert, used but in working order. This part was removed from a 2009 Honda Civic Type R FN2 with K20Z4 2.0 Litre engine and 6 speed manual gearbox. The complete car has been stripped for spares and all parts available for sale. DOOR TRIM RETAINER. HONDA 91560-SP0-003. Small Head Dia. GENUINE USED HONDA CRV 12-18 MK4 NEARSIDE LEFT REAR BLACK LEATHER CARD IN EXCELLENT USED CONDITION, OTHER PARTS AVAILABLE FOR THIS CAR IF NEEDED. HONDA CRV MK4 2012-2018 1.6 & 2.2 I-DTEC & 2.0 I-VTEC MANUAL & AUTOMATIC MODELS. HONDA CRV MK2 2002-2006 BLACK FABRIC UPLHOLSTERE DOOR CARD OFFSIDE DRIVER RIGHT FRONT SIDE. 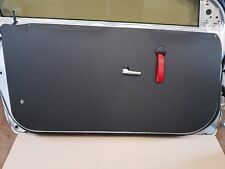 Honda Civic Type R FN2 PASSENGER side rear door card insert, used but in working order. This part was removed from a 2009 Honda Civic Type R FN2 with K20Z4 2.0 Litre engine and 6 speed manual gearbox. 2006-11 HONDA CIVIC MK8 5 DOOR. 2008 Honda CIVIC mk8. FRONT PASSENGER LEFT DOOR CARD. Body type - 5 door hatchback. compatibility tools is just a guide andnot always accurate. Engine - 2.2 CTDi diesel. HONDA CIVIC RIGHT FRONT DOOR CARD. FOR THE HONDA CIVIC 3D ONLY 2006 - 2011 YEARS. GENUINE HONDA USED PART ! Honda: Civic 2012. We have a friendly and knowledgeable team who are more than happy to help. and more Check Compatibility above! All second hand parts are tried and tested, And then marked or bar coded before dispatch. Therefore until an engine is sold, it will not be removed. CIVIC 2006 -2012 Mk8 Rear Right. Item Specifics:2006-2012 - 5 DOOR - HATCHBACK - RIGHT REAR - DOOR PANEL. Part:Door Panel. This Door Panel was removed from a2009 car and has been fully inspected.